The ExecGolf Booking Portal is not currently available. Please call the Club you'd like to play directly to book your tee time. Club contact information for each market is available by clicking the course logos on the "Benefits & Rates" page on ExecGolf.com for each market. For your convenience, direct links to each of those pages are listed below. GET EXEC GOLF UPDATES VIA EMAIL - CLICK THE BUTTON BELOW! 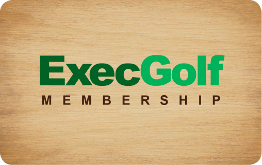 If you are not a current ExecGolf Member, please CLICK HERE to join.